Regency Security has always stayed true to our ethos of being a standards-driven company. With each industry accreditation we have always been at the very forefront of compliance. 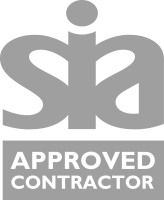 Whether is our office staff and Managements strict adherence to British Standards (such as the 7858 Vetting Standard) and ISO 9001:2008, or the very highest industry specific accreditation the ACS (Approved Contractor Scheme) from the Security Industry Authority (SIA), Regency Security are constantly ensuring a standard of excellence within the Security industry and to you our clients. Our quality management systems are regularly audited both internally and externally, guaranteeing that the business is operating in a professional, compliant and effective way in accordance to the required standard. In 2006 the government through its regulatory body for the security industry launched the Approved Contractor Scheme. This accreditation was aimed at those security companies already operating to the highest standards. The object of the ACS was to maintain those standards and good practice, increase accountability and raise public perception of our industry to a level that had never been attained before. Regency Security came one of the first security companies in the UK to achieve this much –coveted accreditation.